When you purchase military specification protective packaging like Film Foil, Poly Kraft, and Poly Mylar, you are buying yourself peace of mind. This is because you know that the protective packaging will hold up throughout its journey to your customer. You can rest easy knowing that your product won’t arrive damaged or in bad shape. The military requires products that are of the highest standard, and EDCO’s products adhere to those strict standards. The military necessitates products that are customizable as well as high in quality. EDCO Supply Corporation has a large inventory of ready-made bags, but we also provide many customizable options that meet military specifications. We can custom manufacture a variety of different things to meet your business needs. This flexibility is another great benefit for you to take advantage of. 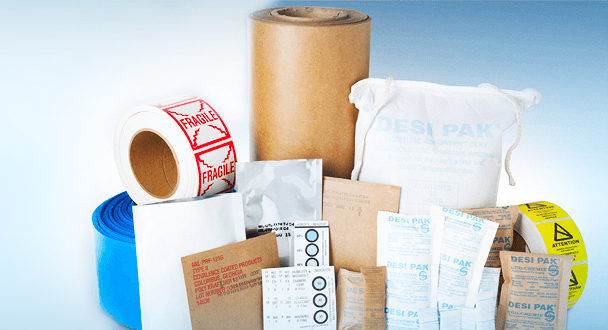 Military specification packaging like anti-static bags, desiccant packs, and moisture barrier bags can provide protection for your products from the elements. Moisture, the sun, and heat can all wreak havoc on products during the time they are in transit to their destination. By using military specified products, you are ensuring that your items are safe from getting damaged by the elements. These are only a few of the benefits that purchasing military specification packaging can provide. The peace of mind you receive knowing that your products will arrive safely is certainly valuable. Customization is another great benefit of EDCO Supply Corporation’s products. Finally, military specified products provide protection from the elements while they are in transit. You really can’t go wrong with choosing any of EDCO Supply Corporation’s protective packaging products. Call us now at 718-788-8108 to place your order.